What is a refutation paragraph? Read the article. Complete the "3 Levels of Meaning" sheet. 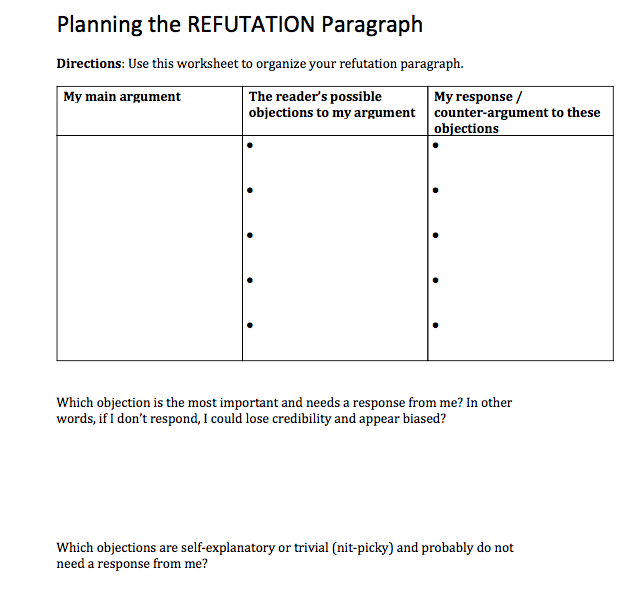 Review "Refutation Paragraph Strategy Notes"
Remember,when writing your refutation paragraph, it’s important that you sound credible, unbiased, and fair. It’s clear you’ve considered all sides of the issue and obviously your viewpoint is the most logical. Your job is to convey this message to the audience. Keep in mind that the arguments presented in the body paragraphs should not be repeated in the refutation. 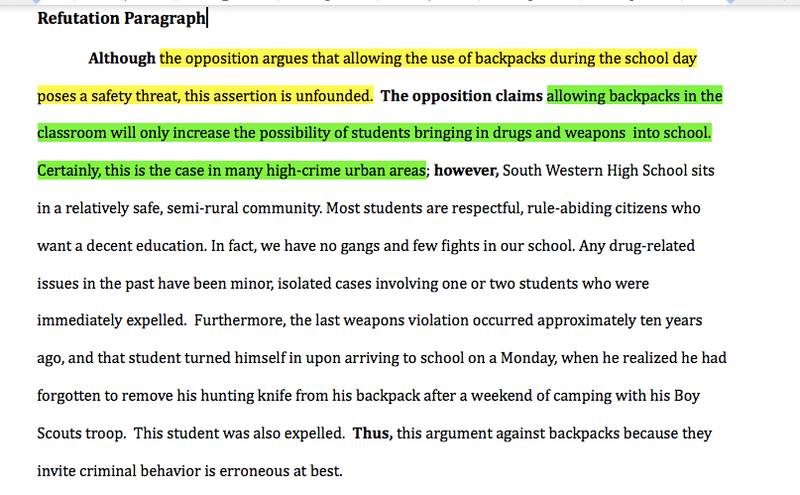 Want to see how a refutation paragraph works within the entire essay? Check out our example paper. Use the YouTube video to review what we discussed in class about refutation paragraphs. Keep in mind that we are writing formal papers, so avoid using pronouns such as "we," "I," and "you" in your papers.